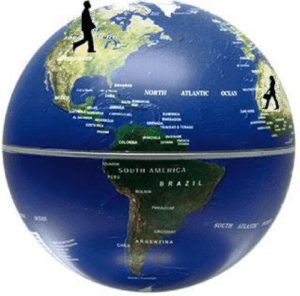 Offshore banking is establishing a bank account outside of one’s country of residence. The purpose is often for asset protection, tax savings (depending on the country of the account holder), financial privacy and estate planning. Because 96% of the world’s lawsuits occur in the United States, many US people have sought out jurisdictions beyond their borders to secure their wealth in safer climes. Occasionally, news headlines discuss offshore banking. Positive news sells fewer advertisements than negative news, so much of the focus tends to be on the seedier side of offshore banking: foreign dictators hiding illicit gains, nefarious businessmen secretly socking away ill gotten profits, tax dodgers, etc. In addition, some of the stories have to do with regulations put forth by the United States government. Regulations have been in place for years to control tax evasion, proceeds to fund terrorist activities and money laundering from drugs and other illicit sources. Naturally, the federal government needs to take action when dealing with such accounts. While these regulations are meant to impede illegal activities, the government regulators are not concerned with individuals who want to utilize offshore banking as part of an asset protection plan. Using offshore banking along with international entities such as LLCs and trust is becoming more and more common as the threat of lawsuits increases. What policy changes are enacted and where they are focused often depends on the country. The United States attempts to monitor the activity of certain countries that it sees a greater potential for terrorist and criminal threats, and is less likely to monitor countries with which it has friendly relations. As well as the list of countries presented above, there is also an opportunity for people who live outside of the United States to obtain a comparable level of bank account protection similar to that offered by offshore bank accounts. For example, Delaware brings to foreign bank account holders a handful, although not all, of the protection and capabilities, typically found by those using offshore bank accounts. A few other states that operate without a corporate income tax can also bring benefits to bank account holders. Some of these states include Nevada, Washington, and Wyoming. So, a person in the US who is not quite ready to go offshore or a person who resides outside of the USA has some options within the United States. Most offshore bank accounts offer more service for less cost than bank accounts in the United States. Offshore banks typically offer better interest rates than what is typically offered in the United States. Why? Because the expenses to operate a bank are lower in many foreign countries. This results in more money remaining in the bank’s coffers to pay out to depositors. Borrowing money at a lower interest rate. Fewer regulations when borrowing money. For the most part, offshore banks provide a great deal of confidentiality and often make it difficult for outsiders to obtain information about the company or individual that holds the account. Privacy varies by country. Countries with stable and prosperous governments brings with them a degree of protection against economic, political and financial problems that may occur in one’s home country. Naturally, these stable countries offer better investment choices for both you and your business. As the economy in the United States continues to fluctuate, trying to pull out of its last recession, this concept has become increasingly more attractive to both private parties and their businesses. There are more investment options. In contrast with what an investor might be offered with a bank account in his or her home country, many individuals who decide to use offshore bank accounts find that those accounts not only possess better structure but an opportunistic degree of flexibility. For example, many banks offshore offer fixed interest accounts, stock market investment options, precious metals, etc., all under one roof. Customer service benefits. Many offshore bank account holders like that customer service is available in a time zone that varies from that of his or her home country. A majority of people who utilize offshore bank accounts open their accounts in offshore legal entities. These entities can vary from offshore corporations and LLCs to offshore asset protection trusts and foundations, depending on the needs of the individual. Offshore accounts are also used by employees hired by offshore, international employees, travelers, and expatriates. 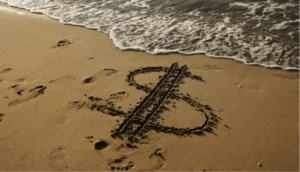 Owners of corporations also find that offshore bank accounts offer advantages when utilizing a financial restructure process. Companies attempting to do this can use offshore bank accounts and utilize multiple international entities, allowing them to show a financial gain or loss depending on the accounting methods used. Naturally, full legal and tax compliance are strongly urged. Another reason why owners of corporations utilize offshore bank accounts is because of more freedom within the realm of financial requirements for the company, including the ability to quickly and easily pay employees and suppliers in the foreign jurisdiction. In addition to the information discussed above, many individuals and principles of corporations seeking to form offshore bank accounts approach this pursuit with the false belief that profits, capital gains, and other types of income are not taxed in the account holder’s country of residence. This assumption and the failure to pay taxes in one’s own country can not only become financially unfavorable to the company itself, but in most cases, it is also illegal. Furthermore, located on Schedule B, your tax form specifically requests, under the category of Interest and Ordinary Dividends, that you report interest and distributions in any accounts or trusts located offshore. 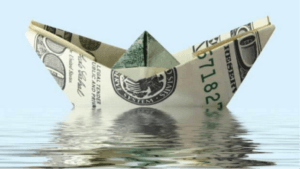 Therefore, despite the often held misconception that an offshore bank account excuses one from paying United States taxes, anybody filling out a tax form can see that this belief is incorrect. The correct legal approach is to report all income earned offshore. In fact, most countries require its citizens and/or residents to report any income earned outside of its jurisdiction. What Services Do Offshore Banks Offer? Most offshore banks offer the same types of services as United States banks. Plus, in many cases, they offer more. However, depending on the jurisdictions of the banks overseas, the laws and opportunities can vary, and the restrictions placed on the country by the United States government can also fluctuate. Establishing an offshore bank account is usually quite simple. First, form an offshore corporation or LLC is formed. The company typically does not need to be formed in the same offshore jurisdiction as the bank account. Second, many of these accounts can be formed without the need to travel. Therefore, the ability to form one of these accounts is both convenient and easy. Because of the variety of countries you can choose from, you can match your selected country to suit your needs. Most offshore banks will not open bank accounts for foreign residents. Some are pleasant to work with and some are less so. So be sure to get help from an expert that specializes in offshore banking. There are numbers on this page as well as a form to complete to have a discussion with an experienced expert who can get you the information needed to make a decision. If you are pondering about forming an offshore bank account and hesitating simply because of some of the news media gossip, know that the pursuit, if done legally and safely, can be quite pleasant and beneficial to those seeking financial freedom, asset protection, privacy, and fewer restrictions. About fifty percent of the world’s capital makes its way through offshore bank accounts. This means that offshore bank accounts are quite popular and common. Offshore bank accounts currently hold about twenty-six percent of the world’s wealth. This figure includes many huge corporations that are based in the United States and yet use offshore bank accounts to take advantage of their benefits. The estimated amount of United States money believed to be held in offshore banks is about six trillion dollars, which is a huge chunk of wealth in the world.